The Arts Award acknowledges the work undertaken by students to develop as artists and as arts leaders. Through Arts Award, young people make creative choices, set themselves challenges, explore the arts, and share their skills and achievements. Year 12 students have the option to choose the Silver or Gold Arts Award as part of their Elective and can challenge themselves in a new art form as well as researching the arts and taking on leadership on an arts project. 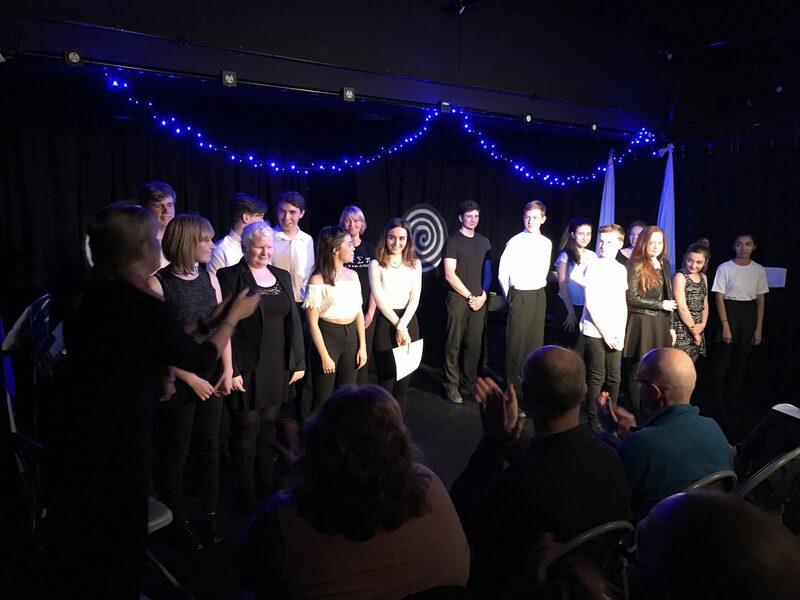 On Monday 5th December 2016, Laura Farr, Lydia Spencer, Lauren King, Eleanor Ritchie, Oliver Denning, Edward Davey and Jake Draper put together an Evening of Entertainment called ‘Where is My Mind?’ in order to present some of their Art Challenges as well as work towards their Unit 2. The theme was explored through dance, drama, art and music. A selection of Year 10 Drama students were also involved in the evening and delivered a selection of monologues from their work in class alongside Year 12 students. The set had been decorated by Eleanor Ritchie and refreshments and a raffle ended the evening. Many thanks to Mrs. J Newbury who played the piano, Mr. Sam Dyer, Gillian Russell, Simon Styan and to everyone who took part. I would also like to congratulate Jess Thompson and Eve Andrews in Year13 who recently gained their Gold and Silver Arts Awards respectively.